which is closer to Christ? One of the other things I have taken on in Lent is to replace some TV time with listening to podcasts. 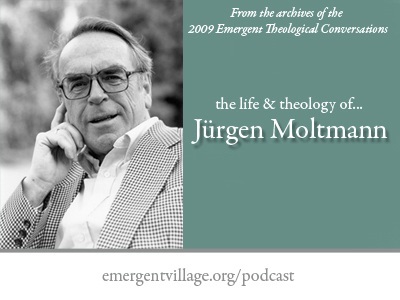 I have just started listening to Jurgen Moltmann podcasts over at Emergent Village. I’ve subscribed to them on iTunes which is by far the easiest way to listen to them. The first two podcasts are pretty general interviews to give some background as to where he is coming from and how his theology has come together. In the the later podcasts he gets interviewed in a more focussed way about what he has written. By that I think he means which seems to fit better better with the ‘whole’ message of the the Bible – the message of love for all, acceptance and redemption. Good, and sometimes challenging, food for thought during Lent!